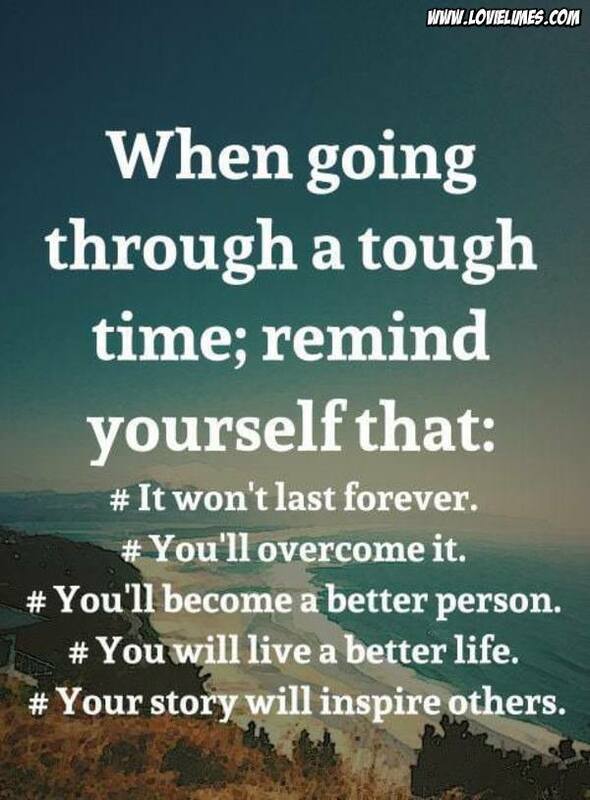 When going through a tough time; remind yourself that: #It won’t last forever. #You’ll overcome it. #You’ll become a better person. #You will live a better life. #Your story will inspire others.